Look kids, bacon is balanced and FDA approved! 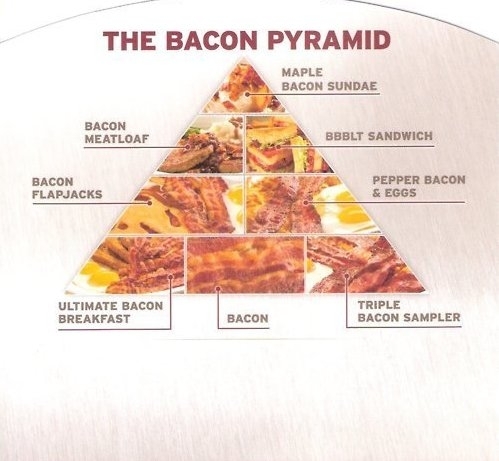 What I like about this very scientific diagram is how it shows bacon fitting into — and, indeed, holding up — all levels of the food pyramid. Finally they got it right! Brilliant Bacon Bit here! oh man. 125 bacon recipes. that will be fun to eat your way through!